But first, let’s award Yukika for winning Face of the Week! And possibly of the Season. It’s an amazing face, is what I’m saying. The first half of this episode is great fun, with the gang going to the zoo and getting to know Yukika along the way. Despite her crippling shyness, Yukika bonds immediately with Yamato and Takeo, who are more than happy to help make this quasi-double date a success. They’ve learned their lesson about directly meddling with others’ relationships since the Christmas episode, and so take on the role of cheerleaders throughout this part, providing Yukika with moral support and help when she asks for it, but never trying to force the sparks to fly. 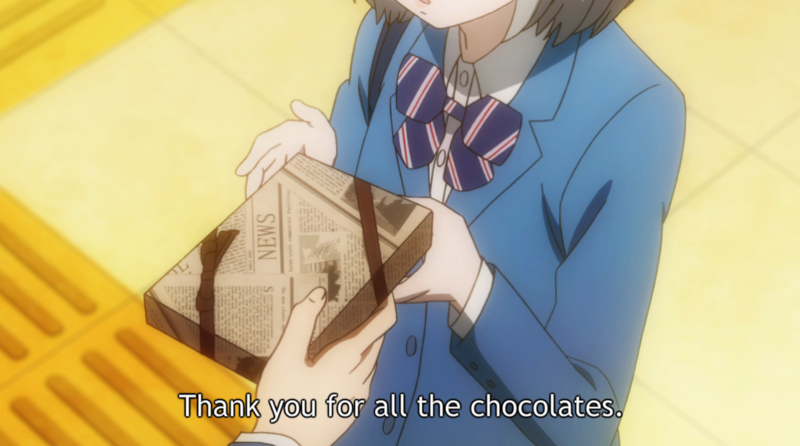 “The Letter to Me” isn’t really about our central couple (other than once again highlighting how rare TakeYama’s adorable relationship is, and how that makes it all the more special), but, like last week, it does a good job of showing how our characters have grown since the series began. Maturation is as quiet and gradual in OreMono as it is in real life, but episodes like this prove there’s significant development happening here, even if it’s not immediately apparent. 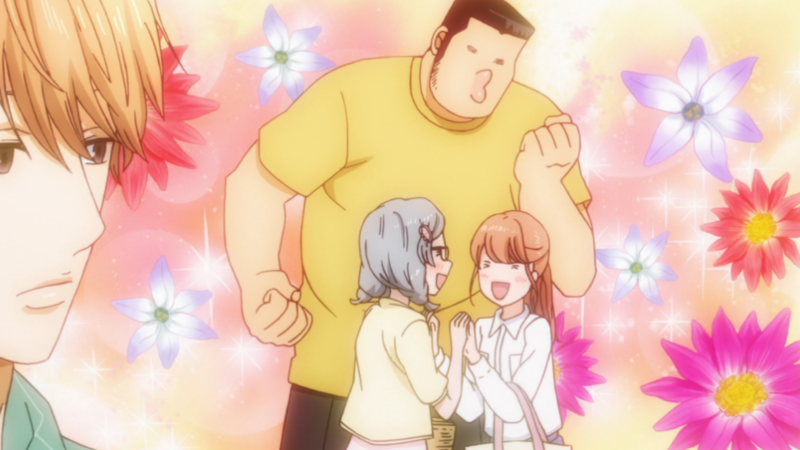 The A-Part is a trick of sorts, playing (as so much of OreMono does) with our ideas of how rom-coms are “supposed” to go. Because the thing is, Suna and Yukika really do seem to be hitting it off. 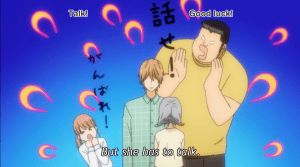 When Suna indirectly calls her cute, when he takes her hand for the trivia game, when he openly admits his admiration for her knowledge, it’s A Big Deal because the Suna we know is introverted to the point of often seeming cold or apathetic, only really opening up around his closest friends. It’s not a bolt-from-the-blue moment like TakeYama had, but it sure feels like the start of a relationship. 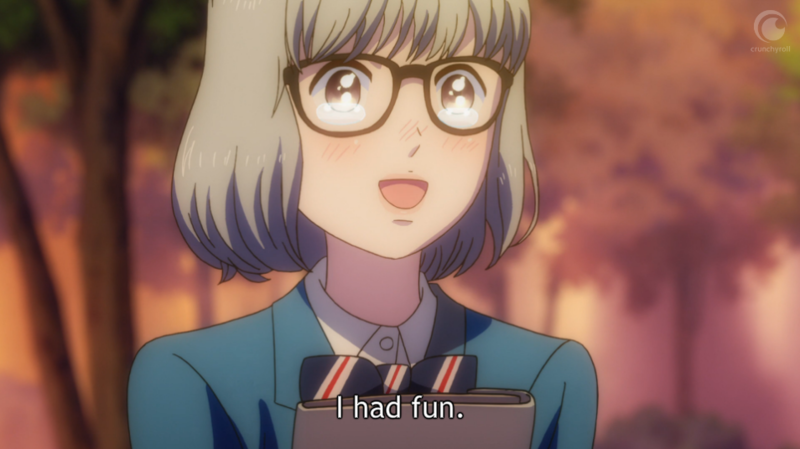 By the end of the date I was settling myself in for a second love story and—despite my personal investment in an ace-coded Suna—feeling fairly supportive of the eventual romance, too. And then the B-Part happened, and OreMono went from “good fun” to complicated, thoughtful, heart-wrenching, and… well, perfect, really. 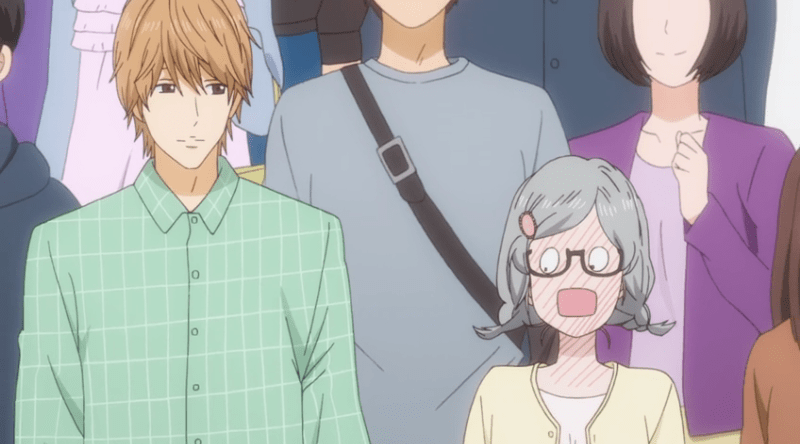 What happens here, exquisitely, in two short episodes, is that Yukika goes from being some weird quasi-stalker to a sweet, awkward teen who’s really, truly, head-over-heels for Suna. She notices things about him, like which bird at the zoo he likes best, or how much he enjoys reading. She’s fascinated and delighted by getting to see him laugh. Shy as she is, she tries to engage with Suna and get his opinion on things, rather than just forcing him to be the idealized image she had in her head of him. It’s true that she doesn’t really know that much about him, having never had a proper conversation before, but what she does know is true to the Suna we know, too, and she adores him for it. All she wants—all she’s wanted for ten solid years—is for him to feel about her the way she feels about him. 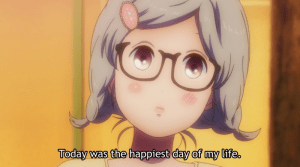 Despite some obsessive traits (her phone full of covert Suna pics is, um, not great), OreMono makes her so genuine and happy and hopeful that it’s hard not to want that for her, too. But OreMono also knows that’s not how romances always go. Even when two people seem like they should be a match made in heaven, they often aren’t. As Suna put it a couple weeks ago, there needs to be a “click,” and that click doesn’t happen. Suna acknowledges that she’s a nice girl. They have shared interests. He gets along with her. He’s grateful for her feelings. He doesn’t dislike her at all. He just… doesn’t share that roar of romantic emotion that she feels for him. I wanted to caption this but I couldn’t figure out the sound effect for a heart leaking out painfully between pressed lips, so you’ll have to use your imagination. Personal experiences will of course vary, but for my money this is one of the most true-to-life depictions of the way one-sided affection so often looks and feels, perfectly capturing that frustrated sense that the relationship should work—that by all rights it “makes sense” for a romance to exist between these people—but also acknowledging that relationships don’t always (perhaps rarely) “make sense” in the way we imagine they should. It’s a difficult moment to face, not just for the person who carries those feelings but for the person who doesn’t. 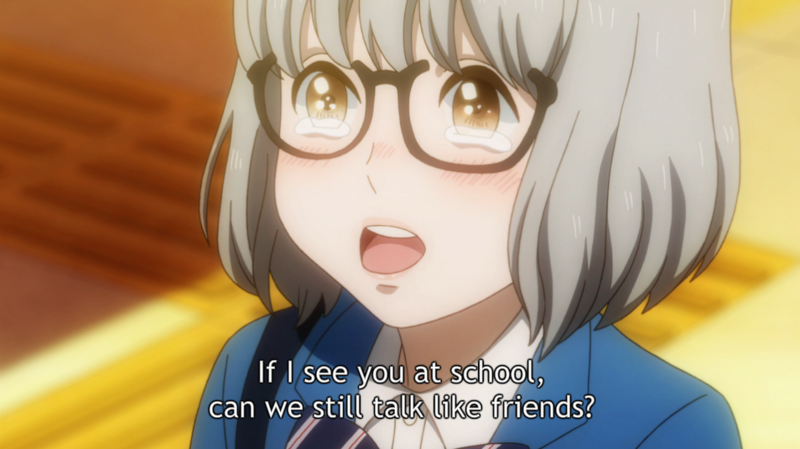 Suna often struggles to express himself, but he clearly feels bad that he doesn’t return Yukika’s feelings. He cares about her and doesn’t want to hurt her. It’s just that sometimes you don’t have a choice. 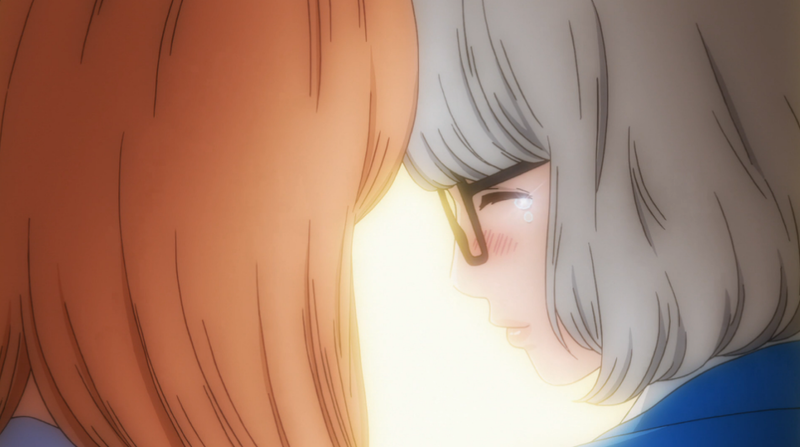 As painful as this is to watch play out, and as much as my chest hurt for both Yukika and Suna during that “Thank you/I’m sorry” scene, I’m also incredibly grateful for and impressed with OreMono for going this route. Of course there’s my personal gratitude for Suna’s continued existence as an ace/aro character (and rest assured I am feeling a lot of feelings about that, too), but just in general storytelling terms, this was bold and honest and excellently done. For all that this show spends a lot of time being adorable and hilarious, it continues to demonstrate a remarkable understanding of the complicated and varying nature of interpersonal relationships, making it so much more than the big ball o’ cute it initially appears to be. Better still, OreMono refuses to let itself slide into full-on Angst Mode. Yukika is upset to the point of regretting approaching Suna at all, and even makes like she’s going to cut ties with her new friends as well. 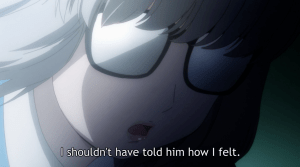 But after some sympathy (and chasing) from TakeYama, and after her meeting with Suna, she does realize (like so many characters in this series do) that it was better to be honest—to get those feelings out in the open where they could be acted upon, and allow her to finally move forward, even if it wasn’t in the direction she wanted. In OreMono, it’s the movement that matters the most. We can look no further than our main character, and his steady shift towards empathy and honesty, to see how true that is. 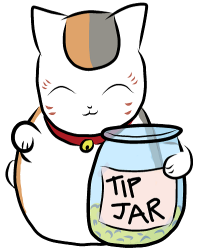 It warms my heart that Yamato can translate for Takeo now. Takeo wants to know if Suna likes him. 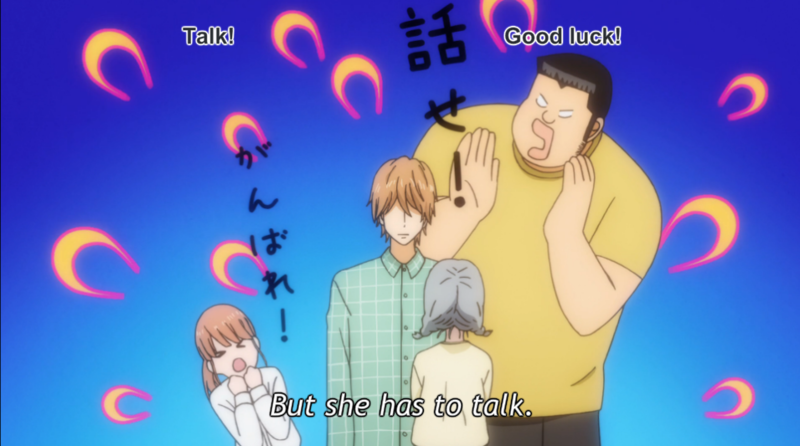 Suna does, but would appreciate it if Takeo not take this as an excuse to cellophane kiss him again.